Elevate your cocktails by making this infused Cranberry simple syrup. Only 2 ingredients to elevate your cocktail game. Perfect for Christmas or Valentine’s Day. 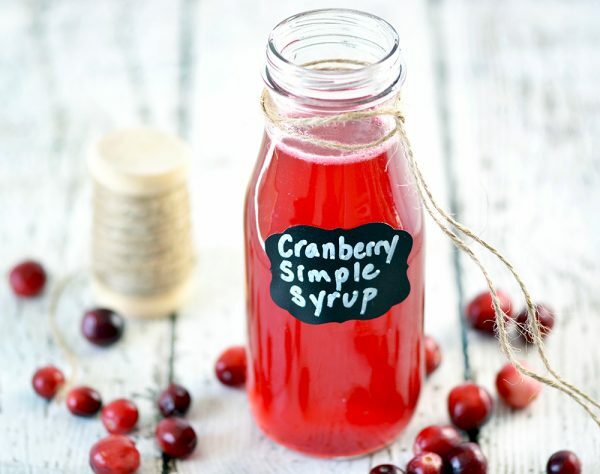 Welcome to December where our kitchen is filled with holiday themed simple syrup, such as this Cranberry flavor. We love making our own syrup for cocktails. On Friday come back to check out our Cranberry Martini Recipe using this recipe. This simple syrup ratio is the same ratio we use for basic syrup: 1 to 1. This recipe works with almost any fruit: mango, strawberries, blackberries, peaches, etc. You can use fresh squeezed juice (if run through a sieve) if in a pinch. 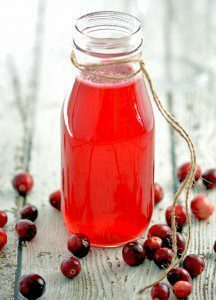 Our homemade cranberry juice recipe will be posted soon. Flavored Syrup is super easy to make and cheap to create! Plus – how gorgeous is this ruby red color? That alone rocks my world. Make sure to check back on Friday for our Cyber Happy Hour drink! Make sure to Pin this on Pinterest if you’re feeling the LOVE! Add the cranberries to a blender or food processor and combine until almost liquidy. Add the sugar, water and cranberry blend to a medium saucepan and heat over medium. Bring the mixture to a simmer and stir until the sugar is completely dissolved (about 1.5 minutes). Remove from the heat and strain the mixture using a sieve or cheesecloth to remove the small cranberry bits. Transfer to a covered jar and store in the refrigerator for up to a week. 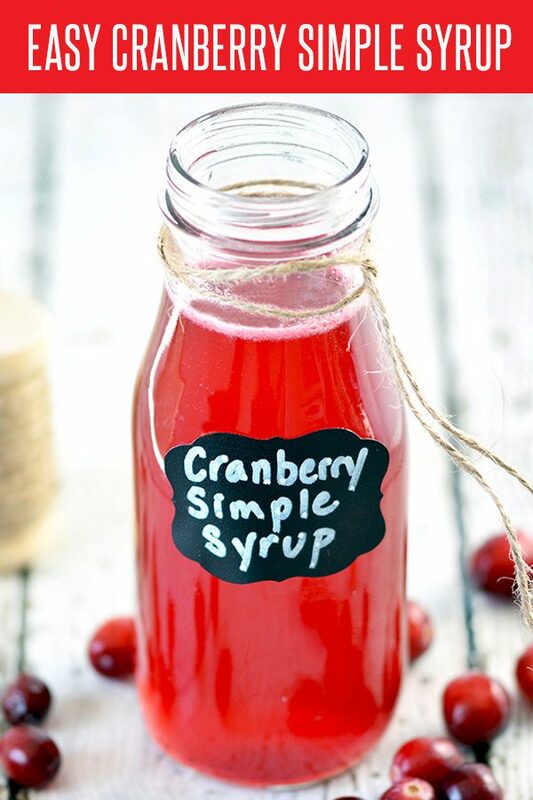 I make a few flavored simple syrups but I have never thought of cranberry. It sounds wonderful! Thanks for sharing. I definitely need to bookmark this recipe for the holidays! This would be tasty for some cocktails. Thanks for sharing!